Sometimes the best gifts are the smaller ones. Inexpensive & fun glow stocking fillers. 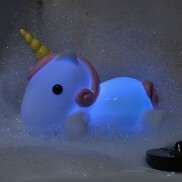 Reluctant bathers will be transformed as bath time becomes a treat with a magical light up unicorn plug! 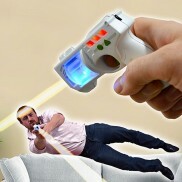 An all out action shooting game for hours of fun and a steady aim, become a super laser champion with the Laser Tag Shooting Game! 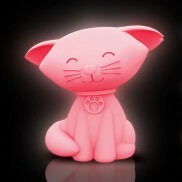 A colourful mood light in a sweet cat body, this adorable cat light shines through a soothing colour change. 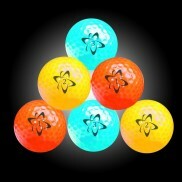 With soft, accurate touch and alignment for putting, Atomic neon golf balls are highly visible too! 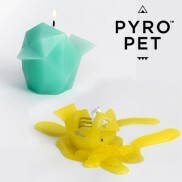 Sweet and delicate looking with a stylish geometric body, this Bibi bird candle has a sinister secret! 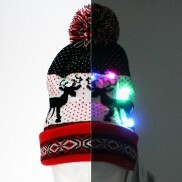 Keep cosy and spread a touch of Christmas cheer with this stylish knitted reindeer beanie hat with colourful LEDs! Love unicorns? 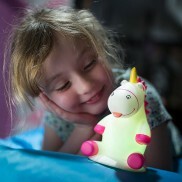 Then this colour change Fluffy the unicorn night light is all you need for a magical bedtime! 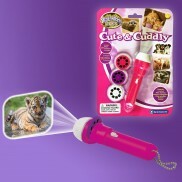 Project cute images that will make you feel all warm and fuzzy from this cute and cuddly torch and projector! 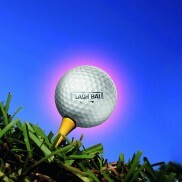 Packed with glitter and a colour change LED, this glitter ball packs a visual punch! 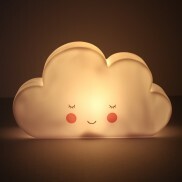 With a soft, peaceful expression and a warm white glow, this sweet cloud night light will reassure night after night. 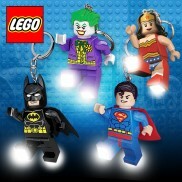 Four of the World's greatest superheroes reenacted as Lego creations with ultimate light beam super powers! Choose from Superman, Batman, Wonder Woman or The Joker. 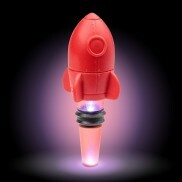 Keep unfinished wine and drinks fresh and create a funky table decoration too with a light up rocket bottle stopper! 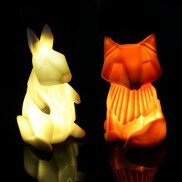 Cute woodland animal lights with the origami factor, these adorable mini LED lights cast a soft, gentle glow. 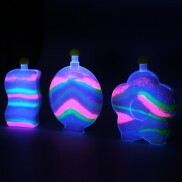 Create your own beachy sand art with colourful sand and decorative bottles for artwork that glows in the dark! 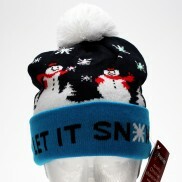 Keep cosy this winter and festive too in a playful pom pom hat with flashing colour change LEDs! 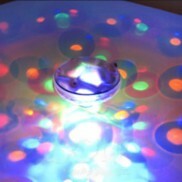 The stunning UnderWater Light Show will add some extra lighting fun to your bath tub, swimming pool or pond. 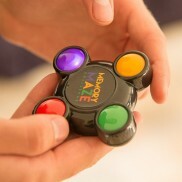 A simple device but incredibly effective. 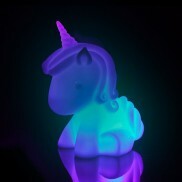 A magical colour changing unicorn lamp to brighten up kids rooms with a relaxing, colourful light show. 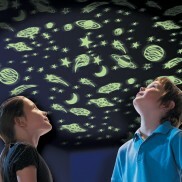 Decorate your childs room with an entire universe of glowing stars, planets, meteorites, shooting stars and so much more! 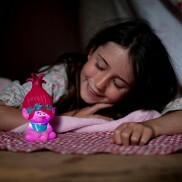 Straight from the Trolls Movie, pink Troll Poppy shines with a colourful light show to reassure at night. 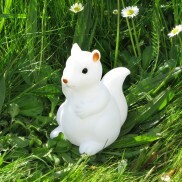 Light the room with a subtle glow with this incredibly sweet Baby Squirrel Night Light. 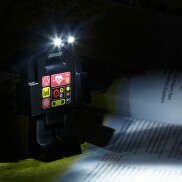 Practical and fun, Pozebot brings a retro spin to lighting with poseable arms and legs and super bright eyes. 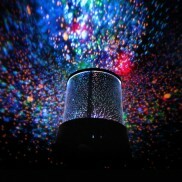 Recreate the luminous glow of the starry night sky in your room. 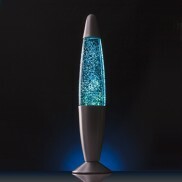 A colour changing iridescent light show reminiscent of a starry night sky is created by this mesmerising Galaxy Light. 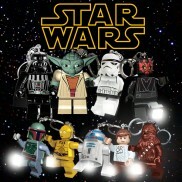 Available in Yoda, Han Solo, R2-D2, Chewbacca and Darth Vader. 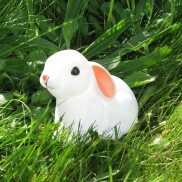 A woodland cutie with a warm white glow, the Little Baby Bunny Night light is battery operated and can be placed anywhere in your child's room. 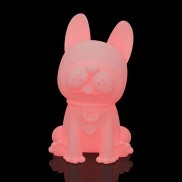 A charming LED nightlight that will become a favourite at bedtime. 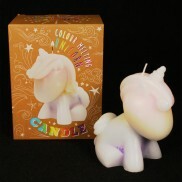 This mysterious unicorn candle is almost too sweet to light, but if you do light it, you'll reveal a whole rainbow of melting colour! 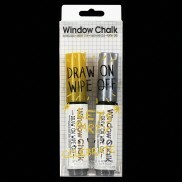 Draw and sketch temporary metallic doodles on windows and more with gold and silver window chalk pens. 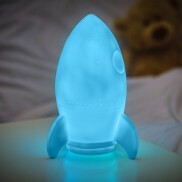 Little ones will love this adorable rocket that soothe at bedtime with colour change light. 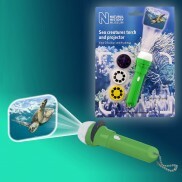 Project images from the mysterious deep onto walls and ceilings in your room with this fascinating sea creatures projector torch. 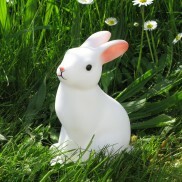 Light your room with a gentle glow at night from the delightfully cute Woodland Rabbit LED Night Light. 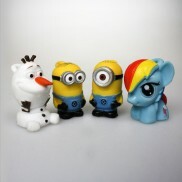 Choose from Minions, Frozen's Olaf or My Little Pony and tag these adorable micro sized LED lights to your clothes and accessories. 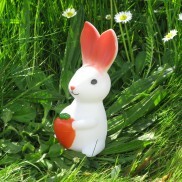 Clutching his carrot and smiling away, the handy sized Hungry Bunny Night Light will comfort and soothe with a soft, white glow. 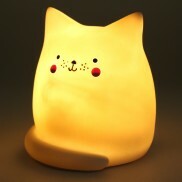 An adorable night light for kids, this sweet Hi Kawaii cat light gives a gentle, reassuring glow. 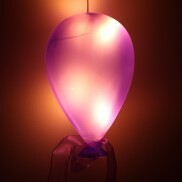 Add a splash of colour to your home with playful balloon lights that shine from within. 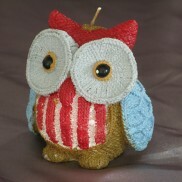 Add a little character and a warm glow to any room in your home with this cute Night Owl Candle. 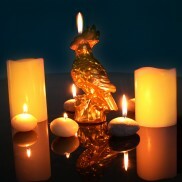 With his gilded good looks and proud stance, this golden parrot candle is far too good to burn! 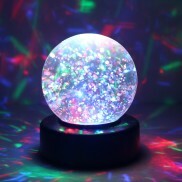 Shake to wake a glitter storm lit by colourful light with this mesmerising mini desktop lamp. 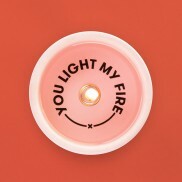 Is it a candle? Nope! Is it a light? Yes.... 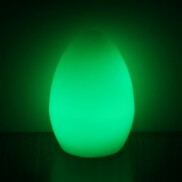 This wax egg is lit by colour change LEDs for a mesmerising colour change light show. 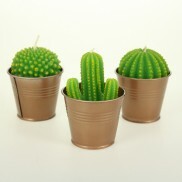 Individual Cacti Candles for green fingered decoration around your home. 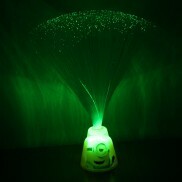 The Minions bring their own cheeky style to your kids room with this colour change fibre optic lamp! 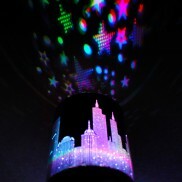 A city that never sleeps is highlighted with colour change light in this modern cityscape mood light. 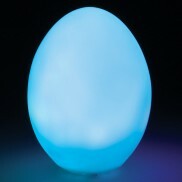 Colour change mood lights come in all shapes and sizes, and this one is shaped like a smooth egg! 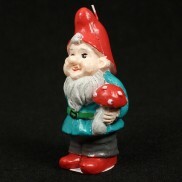 Sweet, decorative and with an 8 hour burnt time, this cute Garden Gnome candle adds magic to your space. 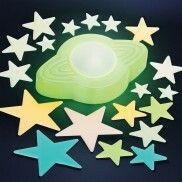 Fall asleep under a sky full of stars with a pack of 32 assorted glow in the dark stars and a cosmic themed night light.